Clothed in immense self-denial, hung up on absurd self-confidence, Federal Reserve officials gathered on August 7, 2007, to discuss how things really weren’t as bad as everyone seemed to think. There were several key conversations taking place at the FOMC meeting held then all leading nowhere. Policymakers would literally laugh off obvious distress in crucial markets. MR. DUDLEY. As far as the issue of material nonpublic information that shows worse problems than are in the newspapers, I’m not sure exactly how to characterize that because I guess I wouldn’t know how to characterize how bad the newspapers think these problems are. 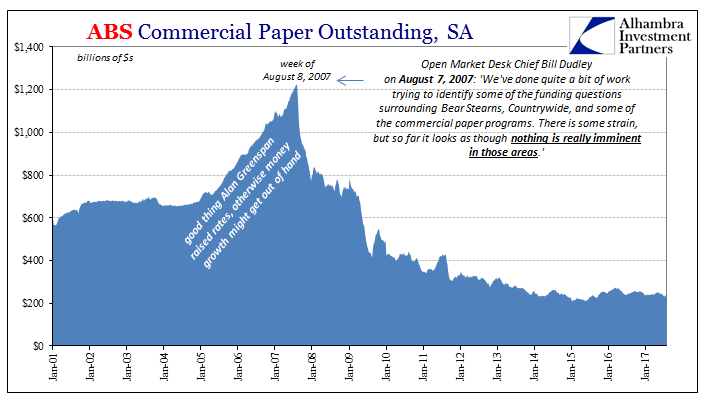 [Laughter] We’ve done quite a bit of work trying to identify some of the funding questions surrounding Bear Stearns, Countrywide, and some of the commercial paper programs. There is some strain, but so far it looks as though nothing is really imminent in those areas. Famous last words; just two days later the entire global monetary system broke down – starting right there in commercial paper and progressing almost everywhere else. We obviously know what happened to Bear a few months further on. So much for the “quite a bit of work” being done by FRBNY’s best and brightest. Before Bill Dudley, who was manager of the Open Market Desk at the time, would answer President Poole’s initial question he first attempted to respond to his second. This latter one had to do with liquidity risk and arbitrage, searching for an explanation in a somewhat backward way for curve inversions in eurodollar futures as well as the US Treasury market. If you understand what he is saying, it’s really something else. This is pure denial. 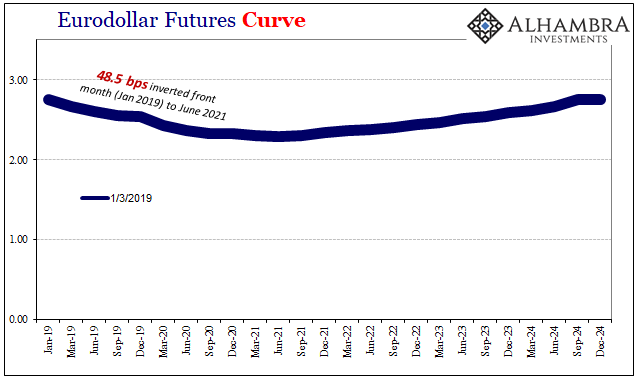 The curve inversions in eurodollar futures as well as the UST curve were “mispricing” an anomaly according the manager of FRBNY’s main “monetary” component. 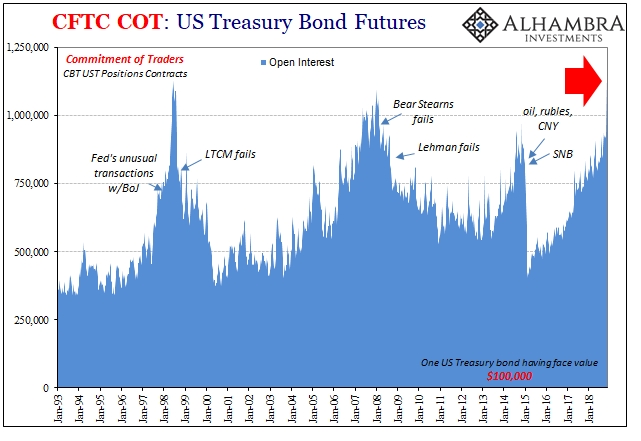 Investors were afraid and rather than sell increasingly illiquid “toxic waste”, which they couldn’t, they would hedge growing liquidity risks via these instruments. An honest, unbiased person would realize, then, that the inversions were therefore a quite accurate reflection of, you know, liquidity risks and the dangerous perceptions about them. Not Dudley nor anyone else at the FOMC, though. They began from the standpoint that illiquidity in MBS or wherever else was just irrational and therefore not worth being concerned about (“it’s sort of hard to know exactly how big or long-lasting the effects…could actually be”). It’s an absolutely astounding arrogance. And this was August 7. What did the UST curve look like on August 8, 2007? 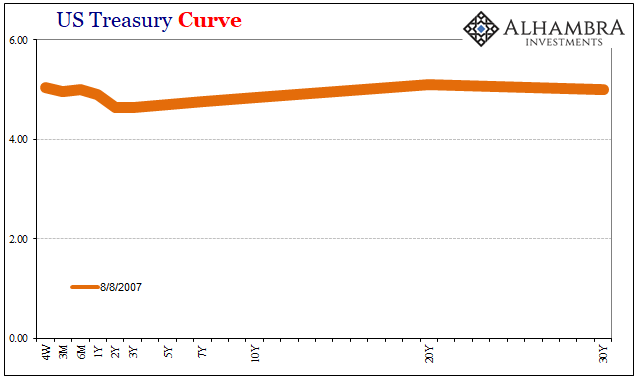 What does the UST curve look like right this minute after the past few tumultuous trading days? After a month of market disorder predicated on, surprise, a whole bunch of massive liquidity risk? It’s really never something you want to see. 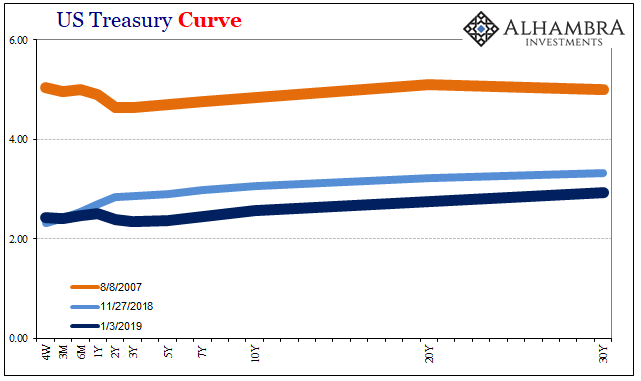 The UST curve, like the eurodollar futures curve, has malformed into the same pre-requisite shape as what was for August 9, 2007, and after. Unlike 2007, shockingly, it has done so in a matter of weeks. 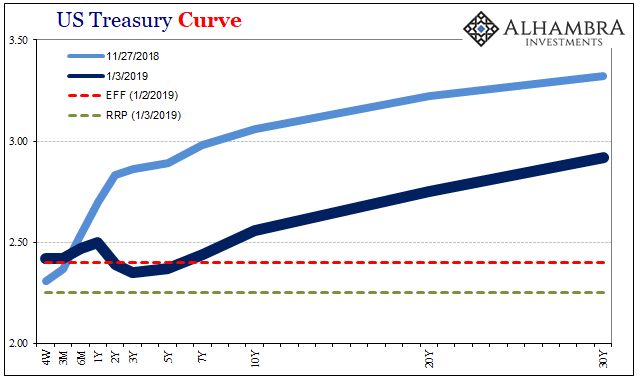 The middle part, not quite the full belly of the curve, is now below the upper range of the policy (federal funds) band. Yields here are even less than EFF and IOER (the joke) as of today. Things are moving quickly in the wrong direction, whatever was left of optimism unraveling at breakneck speed. December proved to be the crucial month, just not in the way the mainstream narrative set by Jay Powell’s unemployment rate-driven view had ever imagined. 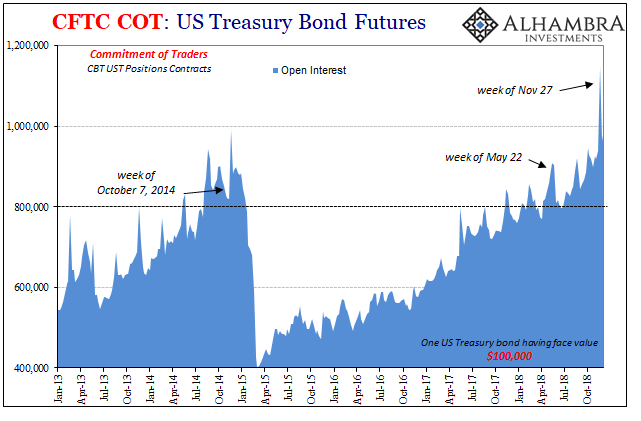 Now we know why everyone on the planet hit up UST futures for hedging at the end of November (not that we didn’t realize what was going on as it unfolded). One more time: liquidity risk (see: repo rate). Of course, Bill Dudley failed himself into a promotion, becoming President of the ailing, stricken New York branch in January 2009 after Tim Geithner failed upstairs to Treasury Secretary. The current head of the System Open Market Account is Simon Potter. He would do well right now to avail himself of Dudley’s grave miscalculations, perhaps even going back reading (as much as anyone can stomach) and absorbing the gross and really obvious incompetence contained within those absurd discussions. Then again, if he wants to get ahead at the Fed it seems like he should keep to its disastrous tradition of ignorance and denial since that’s just what the institution constantly rewards. Given Powell’s continued stance in the face of the coming storm, which way might they all be leaning? Liquidity risk is contained in inversion; it’s only liquidity risks at first in inversion.